Investor Right #9) Receive complete information about commissions, sales charges, maintenance or service charges, transaction or redemption fees and penalties. Comment: This information should never be kept from an investor. Without full details, it is impossible to provide a fully “informed consent” to the purchase, sale or retention of a particular security. 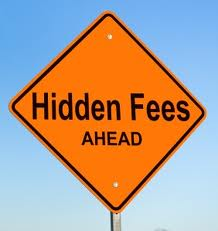 There are hidden costs, fees and charges in virtually every type of investment you are sold by brokerage firms. That is, in large part, how the industry leaders afford their lavish lifestyles. The best book capturing that concept is the classic Where Are the Customer’s Yachts? Investor Right #10) Contact your state or provincial securities agency in order to verify the employment and disciplinary history of a salesperson and the salesperson’s firm; find out if the investment is permitted to be sold; or file a complaint. Comment: If you have been wronged, take action to protect yourself. Know, and use, your rights as an investor. After all, it is your money! Most people, when they feel they have been taken advantage of, reach out to their individual broker. This is NOT always the best and most dependable source. Talk to your CPA, your personal attorney, an independent financial advisor and, depending on the nature of the problem, seek the advice of a securities law specialist. Seek an advisor who, first and foremost, exhibits and practices integrity. That is not always an easy search. The best way to find such an advisor is to seek a fee only professional who is NOT affiliated with a registered broker dealer. To learn more about Dale Ledbetter, visit his website at www.dlsecuritieslaw.com. FINRA’s Proposed New Rule to Help Abused Investors – NOT!